Having a mum that works as a blogger means that my children are sent a lot of cool stuff, get to visit some pretty amazing places and sometimes we get to go on adventures that we could never have afforded if it wasn't for this blog. For this I am forever grateful. It is one of my biggest fears though that my children grow up to be spoilt or think that everything in life comes easy and I spend a lot of time counteracting this whether it be trying to teach them the value of money or getting them involved in our local community. 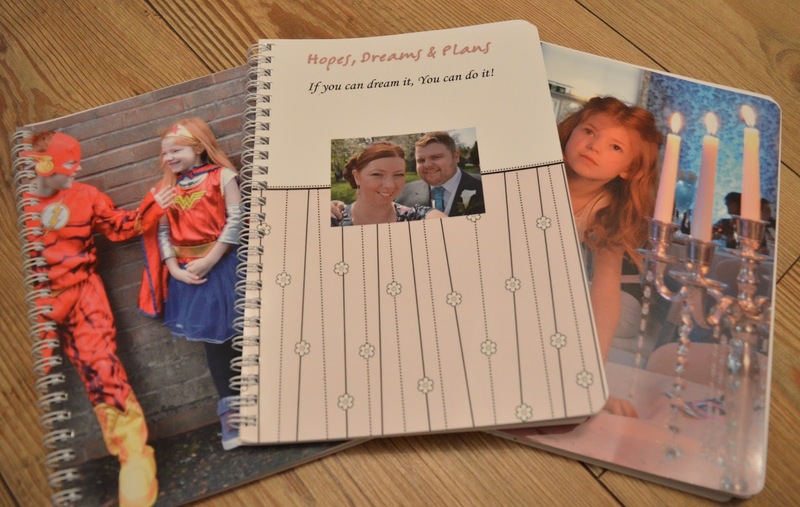 There has been a lot of buzz around Gratitude Journals in the past few years and it is something I am keen to start for myself, Harry and Heidi in 2016. You don't need to spend a fortune to start your own journal. 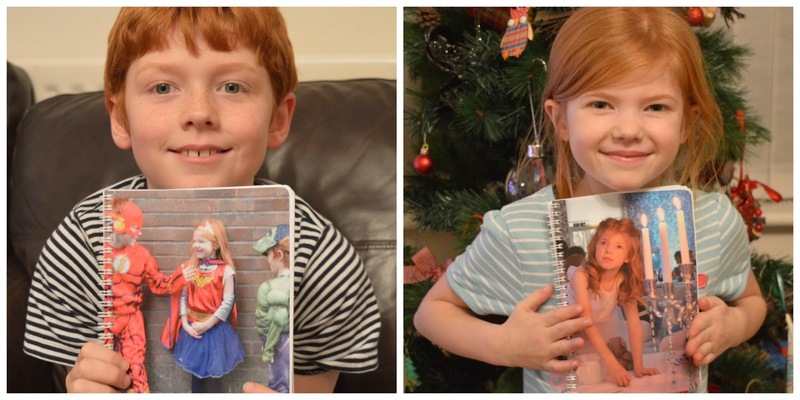 We ordered personalised photo notebooks from Snapfish for only £5.99 each featuring some of our favourite photographs on the covers. You can add text too so I added 'If you can dream it, you can do it' to my book cover. It's one of my favourite quotes. Most people try and write a certain number of points in their journal every evening but to be honest I think this is going to be too strict for Harry and Heidi. 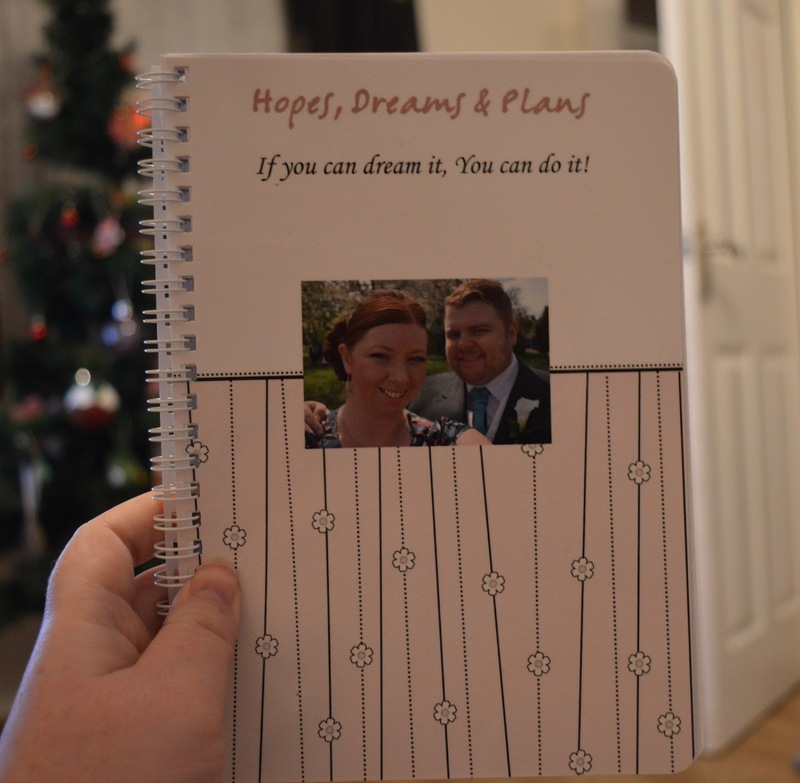 I want to try and encourage their creativity as much as possible this year and will ask them to draw pictures of things that have made them happy, note their dreams for the future, stick tickets or postcards in their journals and write about something that has made them smile or how they've made someone else smile. I don't want to have a strict routine of when we'll write in our journals and never want it to feel like a chore but I would like it to be completed a few times every week. At the end of the year it will be lovely to look back at 2016. Heidi started her journal tonight and what she's written already melts my heart! 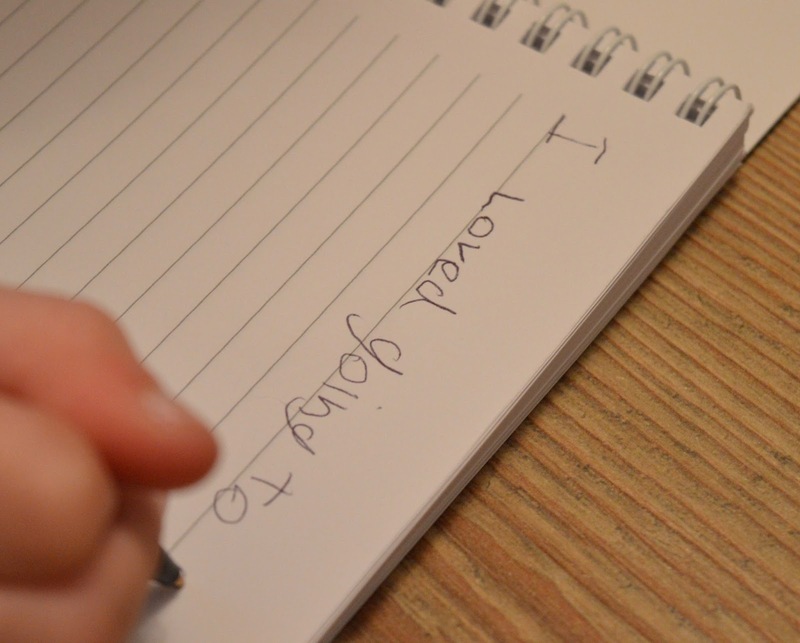 "I loved going to Granny's house"
For me, I want my journal to be about more than gratitude. Yes I will definitely by including things I am grateful for but I also want the book to be filled with my hopes and dreams for the future too, no matter how big or small. 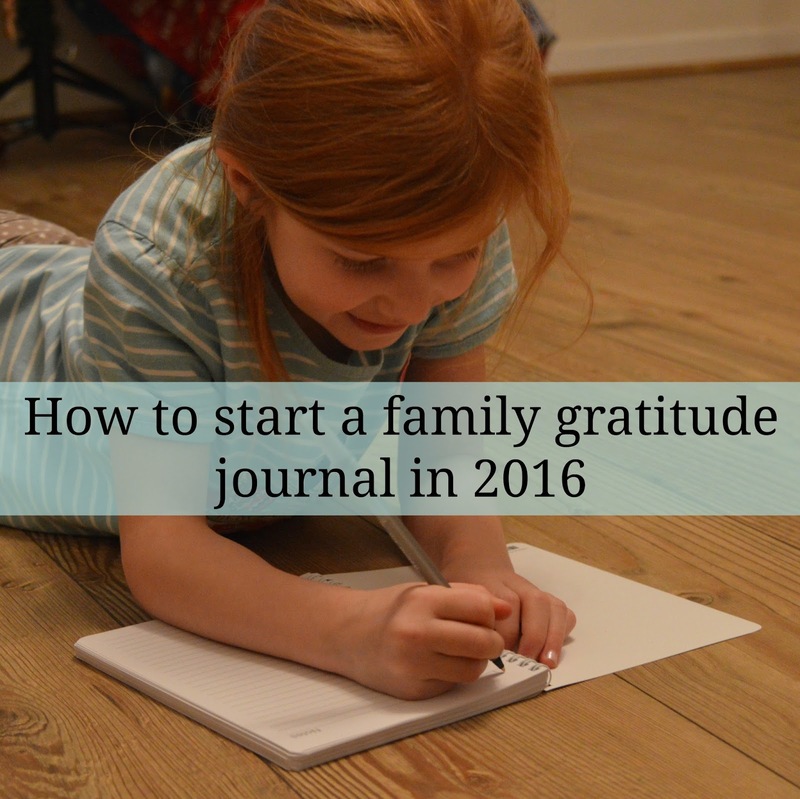 Have you started a gratitude journal this year yet? If not, it's never to late to begin. I haven't done a gratitude journal although it's a nice idea when my daughter's older - no time for now. But when I'm having a bad day (or it feels like it), listing three things from that day that I'm grateful for really changes my perspective.